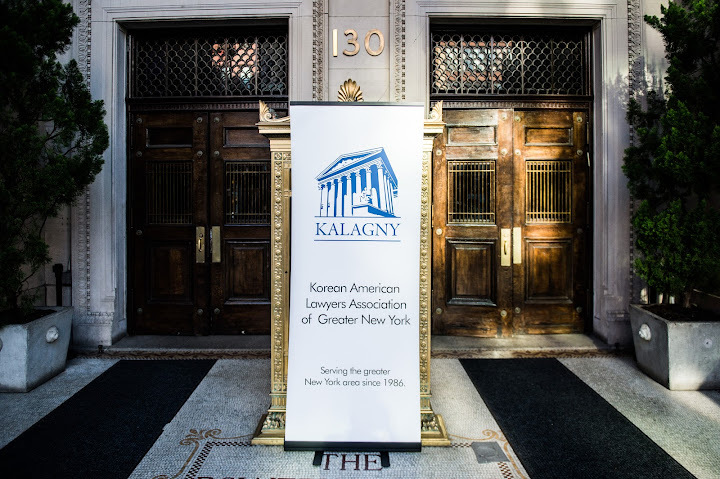 On January 29, 2016, KALAGNY presented an exclusive presentation and interactive discussion with Ambassador Hahn Choong-Hee at the Permanent Mission of the Republic of Korea to the United Nations, located at 335 East 45th Street, New York, New York 10017. Ambassador Hahn is the Deputy Permanent Representative of the Republic of Korea to the United Nations in New York, and Chair of the 47th Session of the United Nation Commission on Trade Law ("Uncitral"). Ambassador Hahn shared stories of working as a diplomat and with the United Nations, the state of Korea today and its potential reunification, and human rights issues in the Democratic People's Republic of Korea ("North Korea"). On January 27, 2016, KALAGNY sponsored an event at the beautiful home of Shannon Chang Hanson to celebrate the 50th Anniversary of the Immigration and Nationality Act. Although this important piece of legislation came to life with little fanfare back in 1965 (and again in 2015), we marked the milestone with personal stories from judges who would not be here today were it not for this historic act. KALAGNY wishes to extend a special thank you to all of the judges and members who shared their stories. 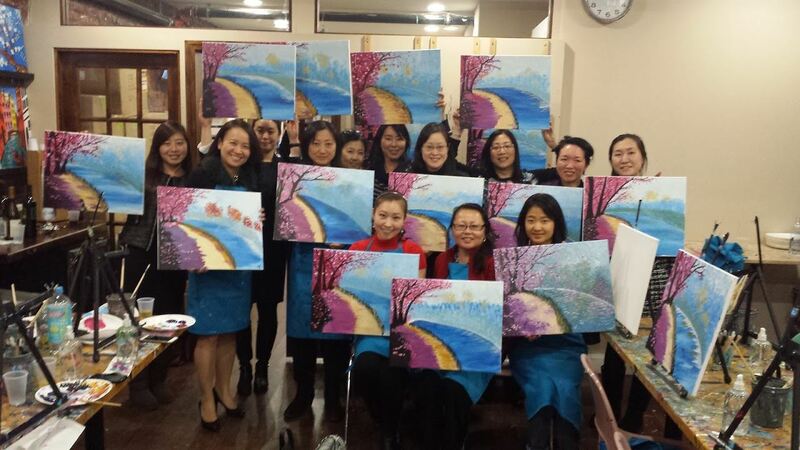 On January 20, 2016, members of KALAGNY's Women's Committee met to paint the town . . . in a beautiful array of colors. KALAGNY and AABANY Joint Event - "Learn Everything You Want To Know About EB-5"
On January 21, 2016, KALAGNY and AABANY held the joint event "Learn Everything You Want To Know About EB-5" (colloquially known as the Immigrant Investor visa) at the New York offices of Dorsey Whitney LLP, located at 51 West 52nd Street, New York, New York 10019. 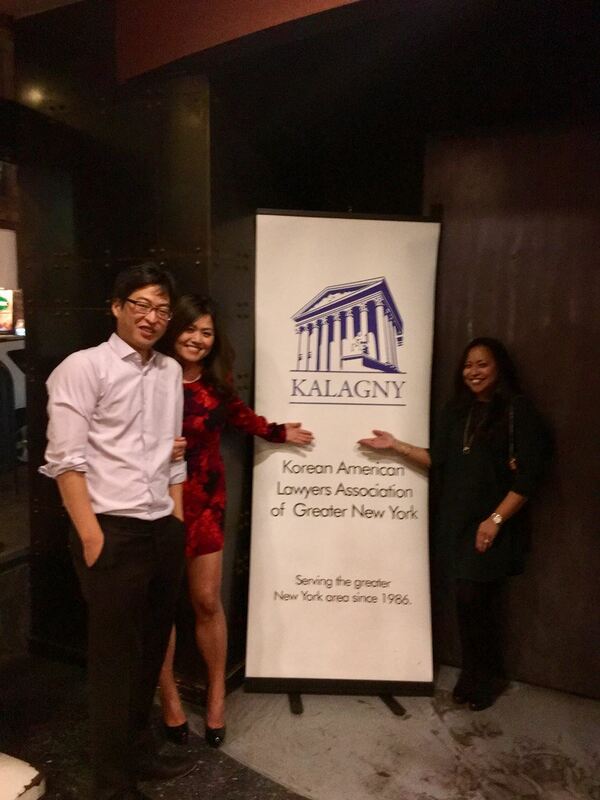 KALAGNY's 2016 Gala Planning Committee (a/k/a The Gala Warriors) held its first meeting on January 14, 2016 at the New York office of Kelley Drye & Warren LLP. This year's gala honors KALAGNY's 30th anniversary so stay tuned for exciting developments. KALAGNY's 2016 Gala at Le Capitale was a huge success. The great company, the beautiful venue, and the wonderful food, ... What a fun night! Almost 450 supporters were in attendance (an increase of about 35% in the number of our guests). Thanks to our attendees, our honorees (Hon. Doris Ling-Cohan, Austin K. So, and Amb. Gheewhan Kim), our gala planning co-chairs (Sung W. Kim and David S. Sohn), our gala planning committee, and our leadership! To read more about the event, click here. Thanks also to those who joined us at our pre-Thanksgiving dinner on Thanksgiving Eve at New York University School of Law. It was our first time hosting such an event. Wow! The evening was a tremendous success with approximately 200 attendees, consisting of law students and lawyers. Thanks to those of you who joined our annual holiday party on December 13, 2016 at Ichi Cellar! It was great to see all of you before the end of 2016. See some photos from our Holiday event here.